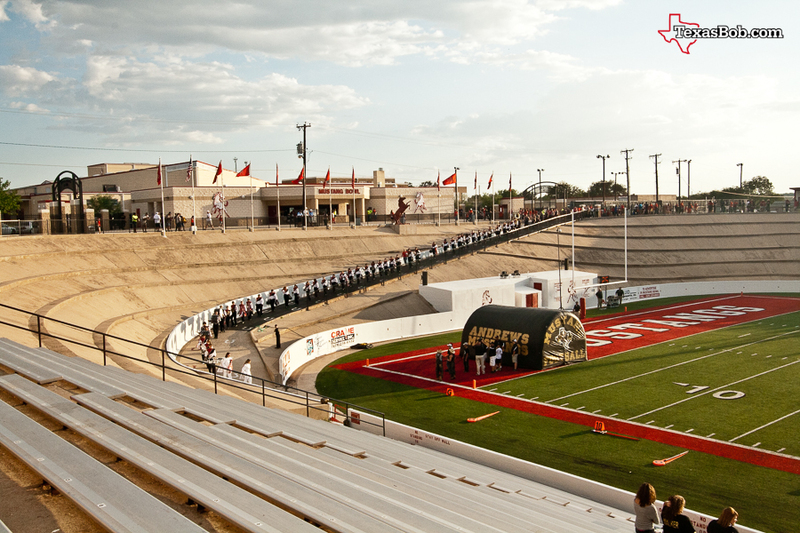 There is no better High School football stadium in the Texas than the Mustang Bowl in Sweetwater. 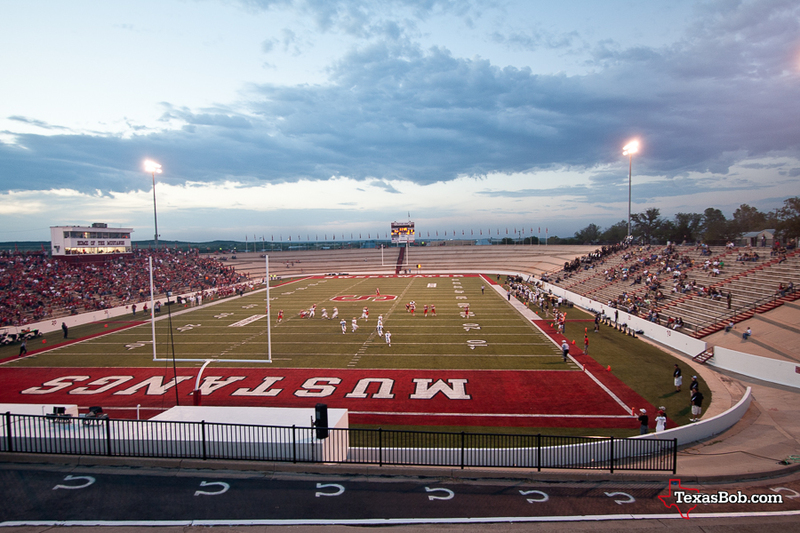 The Mustang Bowl was built by the Works Progress Administration (WPA) in 1939 making it older than most stadiums currently in use but the community has maintained and modernize the facilities over the years in a way that makes it a modern venue for football. If you're ever around Sweetwater on a Friday night in the fall this is the place watch football. The students were excited in 1939 and they are excited today. Below is an article from the student newspaper announcing the approval of funding for the new stadium. 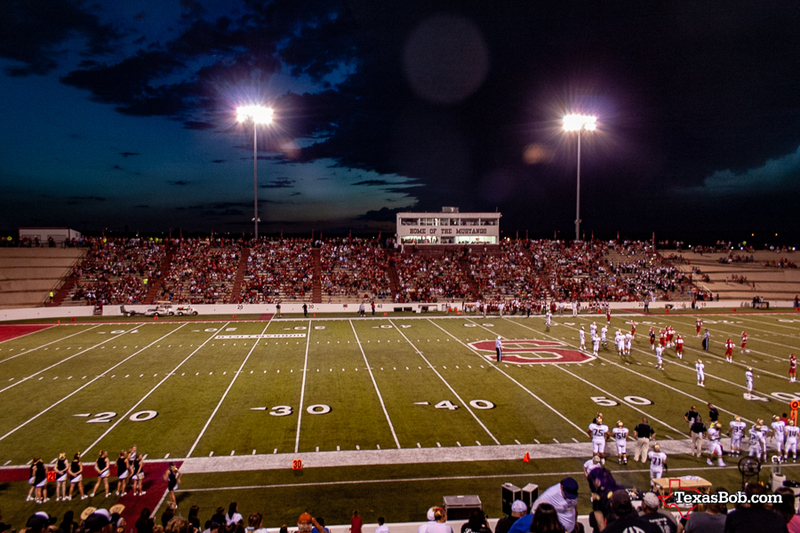 President Approves $65,000 Stadium for S'Water Newman High School is to have a new stadium; a bowl – and the best in all the broad expanses of West Texas! Speedy action on the part of Senator Tom Connally and Clyde L. Garrett has made possible the final and most important "O. K" by the President and a "start work" word is expected this week from the state office at San Antonio. The stadium is to be constructed along the original plans sent in for approval. Costing $65,000 seating 9,500 on the sides and 7,500 in the end zones, the bowl will be 50 per cent larger than stadiums of either San Angelo or Abilene. With next year's football season only seven months away and the team in early spring practice now, it is hoped that work will be started soon. If the 44,000 cubic yards of dirt can be moved in the next four months the best bowl in West Texas will be ready for the Mustangs of '39 by September."